The 2019 LBS Program Now Online. Tickets Are On Sale Now! The LBS short program for 2019 is now online. The screening schedule and tickets online will be available soon at our brand new venues, Classic Cinemas in both Melbourne and Sydney. Dates for the 2019 festival are May 24th to June 10. 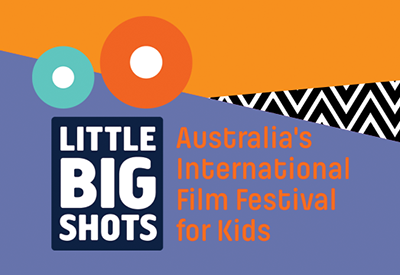 Little Big Shots will be part of CHIFF (Children's International Film Festival) in 2019. Features, shorts, filmmaking workshops, filmmaker Q&As, industry panel discussions, competitions and special events. The largest and most important international film festival for kids and families in the Southern Hemisphere.